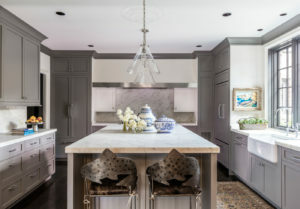 Modern touches and old-world style intermingle in this new Southside home. 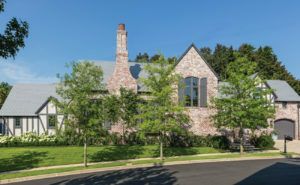 When Alice and Bob Schleusner decided to build a new home in Southside, they had a checklist of exactly what they wanted: enough space to entertain friends and visiting family, very little maintenance, and the charm of a home that looks like it has been there for decade yet has all of the modern conveniences. 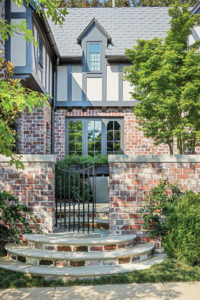 To achieve that perfect trifecta, the couple called on the same architect they had turned to twice before—James Carter. “James knows us and how we like to live,” Alice says. 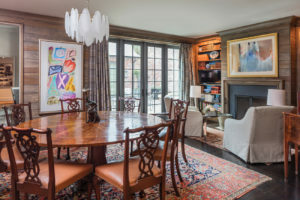 Built-in bookshelves in the dining room offer plenty of space to display Alice’s collections. The dining room table holds one of Alice’s favorite pieces, a classic Frank Fleming sculpture that was given to her by her family about 15 years ago for her birthday. While many rugs throughout the home are antique, Alice chose a new Tibetan rug for the main seating area in the living room. “The colors blend seamlessly with everything else going on,” she says. 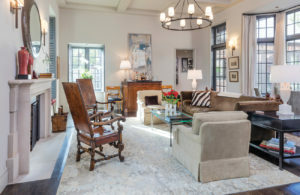 To complete the space—which she made sure had enough seating to accommodate plenty of friends and family—she dropped in a playful pattern with zebra-print pillows on the sofa. 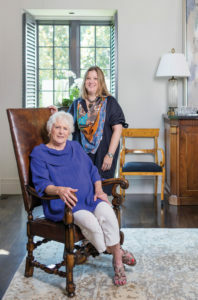 Alice (left) with longtime friend and fellow rug expert Paige Albright.